The load-carrying capacity of the Feiyu AK4000 comes from the ultra-large torque motors of infinite power and a new high performance chip in combination with the intelligent anti-shake algorithm. The anti-shake is also capable of being used in extreme environments and can bear the weights of professional SLR cameras and lens of all brands. The Feiyu AK4000 3-Axis Handheld Gimbal offers unlimited 360° rotation along pan and roll axis and 320° rotation along tilt axis. It supports up to 4kg, which includes all Mirrorless, DSLR cameras and most Cinema Camcorder. Feiyu AK4000 features four operational modes and a flat, 4-way control joystick. The handle of the Feiyu AK4000 can be removed for ease of storage and there are multiple 1/4" mounting holes all around, including on the gimbal section and the bottom of the handle. 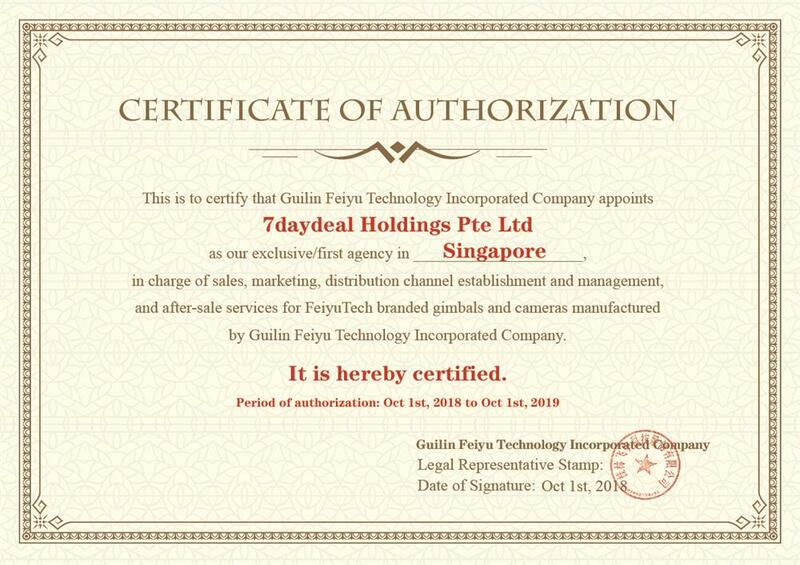 Included as a free download with the Feiyu AK4000 is the Feiyu ON app for iOS and Android, which allows you to remotely control the gimbal when you have it mounted on a tripod or other support. Feiyu AK4000 also come with LED touch screen with flexible touch, click options to switch or select function mode, slide screen on left and right to switch screen, easily adjust ISO, white balance, etc. parameter settings. etc, camera control and a full Chinese menu interaction is convenient for the interaction upgrades in the later period. The real-time display follow the mode status, and it is easy to switch with one button and know real time what mode you are in. The Feiyu AK4000 slant angle design enables unobstructed shooting and framing. Simple design style, the popular slant angle design doesn't obstruct the screen during shooting, which is easy for framing. Feiyu AK4000 is compatible with Manfrotto PL501 quick release plate, quick release for one second fixed. The handle of Feiyu AK4000 silicone ring is delicate and ergonomic, and every detail is carefully polished to give you the most comfortable touch experience. New function for the Feiyu AK4000 include the multi-functional "Magic Ring" brings unlimited creation possibilities. High-precision magnetic induction knob not only can control the focus and zoom but also can be used to control the high-precision rotation of the motor, giving you a cradle-like experience. High-precision software algorithms, M4 kernel mcu, 0.02° high-precision magnetic encoding sensor, and w5 generation control algorithm with correction speed of 2000 times per second, load adaptive algorithm. Battery: 18650 rechargeable battery x 4, 2200mA, 3.7V (note that the battery is installed in two positive and two negative). Note: Battery charging via USB port on gimbal is not supported,please use the charger provided for charging batteries.